Every guy has that one vacation tugging at the back of his mind. The capital-V Vacation. Not another beach-and-‘rita hammock session. We’re talking the kids-free, career’s set, you only live once, no way you’d rather go broke vacation. And in this correspondent’s humble opinion, that trip should involve two things: whisky and golf. 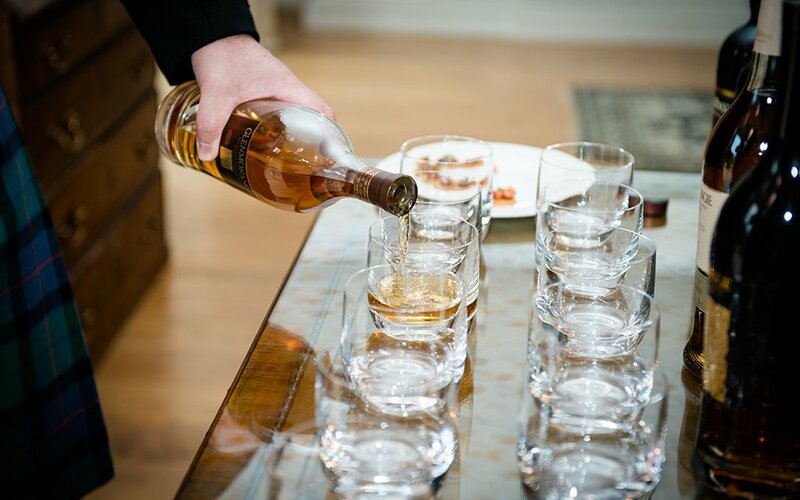 Enter the generous and potentially telepathic folks at Glenmorangie Whisky, who emailed me two months ago to announce an incentive trip they were hosting for 15 of their most successful US distributors … and one writer. If you can take someone’s arm off virtually, I did it that day. In short, you must replicate the vacation detailed below. 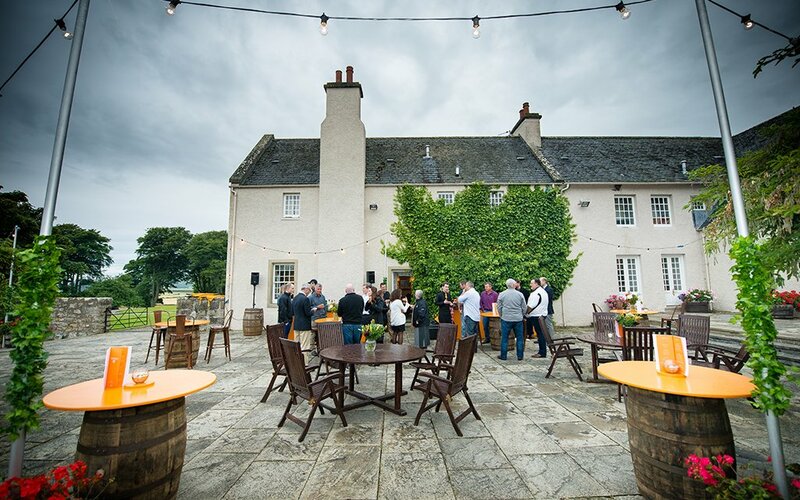 Whether you’re a knot-tying bachelor, a father-son duo or a company (like Glenmo) looking to throw the ultimate corporate retreat, you’ll do no better than sleeping in a Scottish farmhouse, playing the world’s most famous links by day, and drinking whisky straight out of the barrel come sundown. The drive from Inverness Airport to Tain, Scotland is not ugly. Rolling green hills. Golden waves of barley. Sprawling white flocks waiting to supply Old Navy’s next winter collection. As my caddy soon advises, more livestock than people live here for a reason. The first Duke of Sutherland decided sheep were more profitable than paying tenants in the 1800s. Burned down houses by the thousands. Cue the Highland Clearances and mass emigration to America. Surviving this history is my abode, a scotch lover’s mecca. 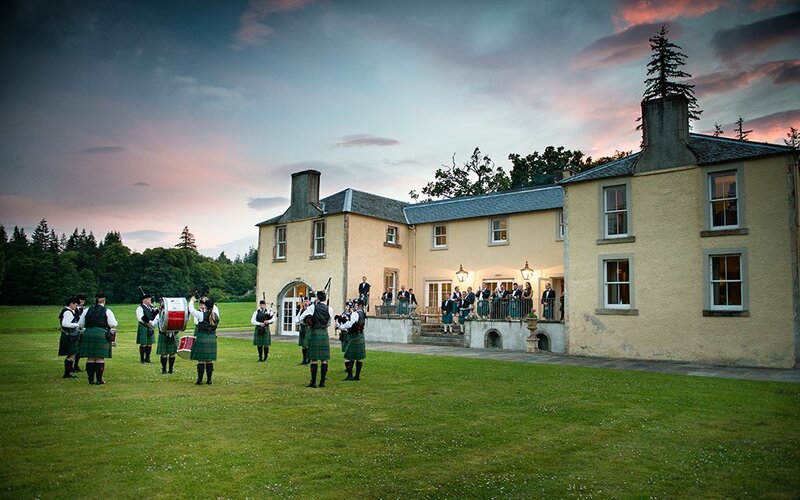 Glenmorangie House is a 17th century farmhouse appointed with butlers, paintings of monocled lords, its own private beach and on-site falconry clinics. For breakfast, we eat butter freshly squeezed off the teat of one of those ubiquitous, Alf-doppelganger cows. The first night, a bluegrass band plays American Civil War songs. 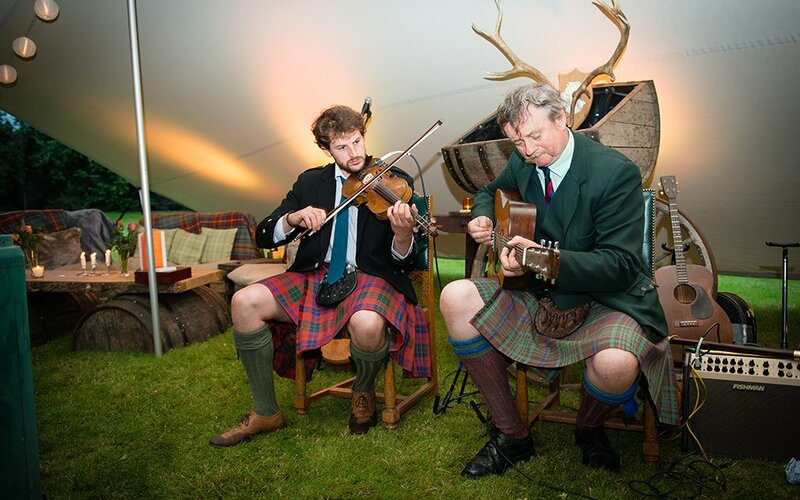 I learn that Scottish bluegrass is nearly identical. Also, unfortunately, that underwear beneath kilts is frowned upon. 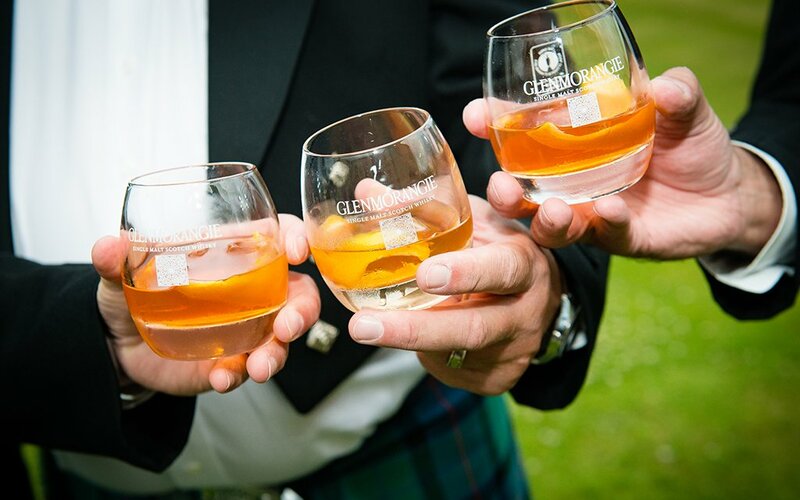 Glenmorangie’s distillery has been the pride of Tain since 1843. If you don’t believe it, pronounce “glen-mor-en-jee” (emphasis on “mor”) incorrectly among locals. Ingenuity sets this place apart. Whiskies here age in differing woods and often blend together to concoct whatever nectar Glenmo guru Dr. Bill dreams up. Casks once aging sherry, port or sauternes hold next year’s Private Edition (my recommendation: the spicy Companta). At over 16 feet high — the height of a giraffe — the copper stills here are Scotland’s tallest. Allegedly, taller stills make for purer alcohol evaporating to the top. Alcohol boils at a lower temp than water, so traveling farther from the boil point equals less water tainting the hooch. Original, Glenmo’s baseline brown, ages in American oak barrels formerly used for bourbon. Each barrel gets filled with scotch twice, aging 10 years each time. The first fill makes an oaky, strong spirit. The second fill tastes more complex, floral and fruity. Original blends these two fills to capture the best of both worlds. But I grow less studious by the glass. Royal Dornoch is the most difficult and stunning course I’ve ever played by some margin. 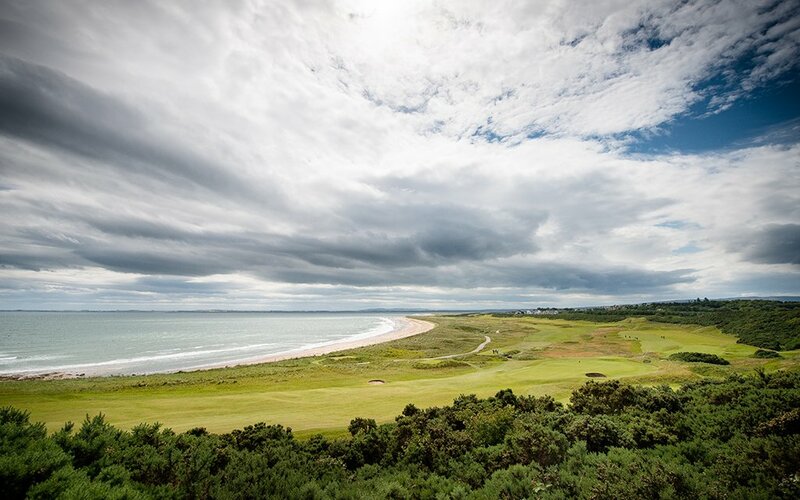 Golf Digest ranked Dornoch #5 in the world last year. It got demoted to #6 this year, presumably for its prejudice against chronic slicers. Right on the coast of the North Sea, conditions are perpetually windy. Gusts range 15 to 30 mph. Tears are as much an obstacle as trajectory. The bunkers are 6-feet deep behind near-vertical walls. The greens are lightning fast plateaus with elevation that eliminates bump-and-run shots. Strategy: Loft it high into the hurricane and pray it sticks. I was a 14 handicap in my prime 12 years ago. Not exactly signing autographs. Played once a year since then. I’d tell you my score if I knew it, but a back nine full of “bogeys” suggests my caddy Donna polished the numbers. Bless her benevolent soul. She has no future in tax evasion. A quick flight to Liverpool lands me near Hillside Golf Club, which Britons know as the best non-royal course in the UK. 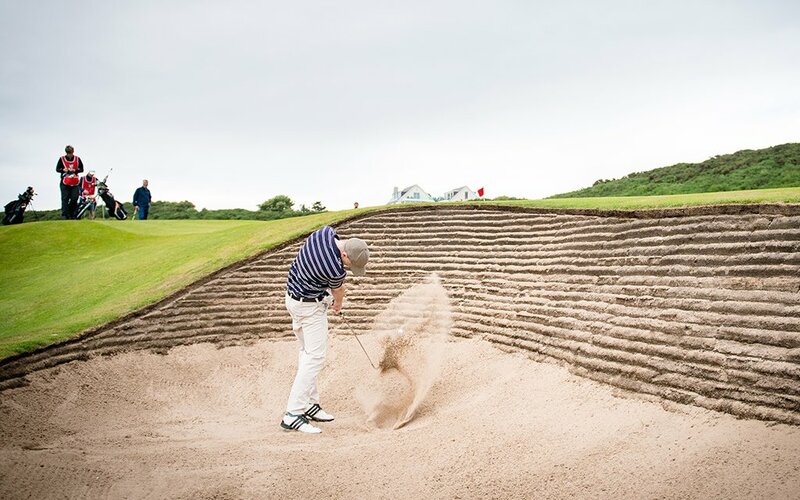 It’s a shank away Royal Birkdale, host of this year’s Open Championship. HGC’s front and back nines are like two separate countries. Flat and open on the front. Winding hills and pines greet you on the back. Imagine nine holes in Arizona followed by nine in New Zealand. 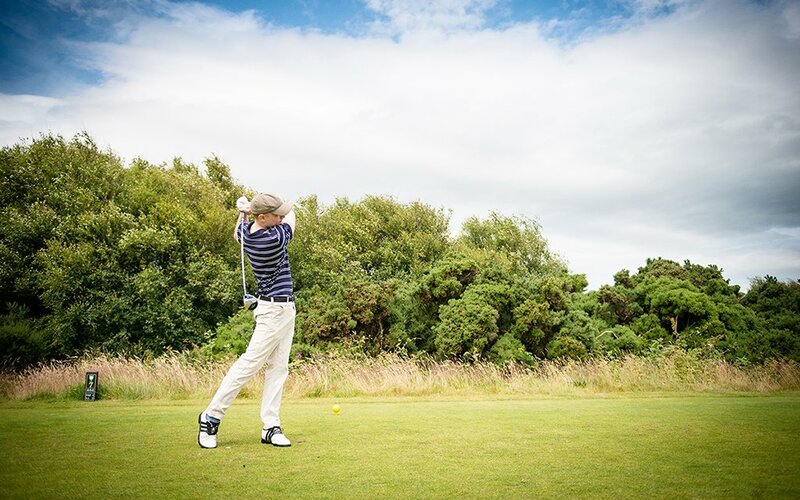 Veer 10 yards off any fairway, and you may as well drop a ball without searching. My caddy Rob has been a member for 28 years. Shares my dad’s name and age. Advises my every shot. My dad once flipped his lid on the group behind us because they didn’t wait patiently for six-year-old me to dribble the ball up the entirety of a par five. Rob would’ve done the same. Save 3 holes of Rob-tutored metaphysical reevaluation, I play bogey golf. I’ll take it. The Open’s final day begins as a clear two-horse race between Jordan Spieth (-11) and Matt Kuchar (-8). A veteran fan advises that the best way to follow championship leaders is by standing wherever their next shot should land, rather than standing at the point of contact, so as not to get lost in the herd. Not to be bossed around, I immediately get lost in the herd. 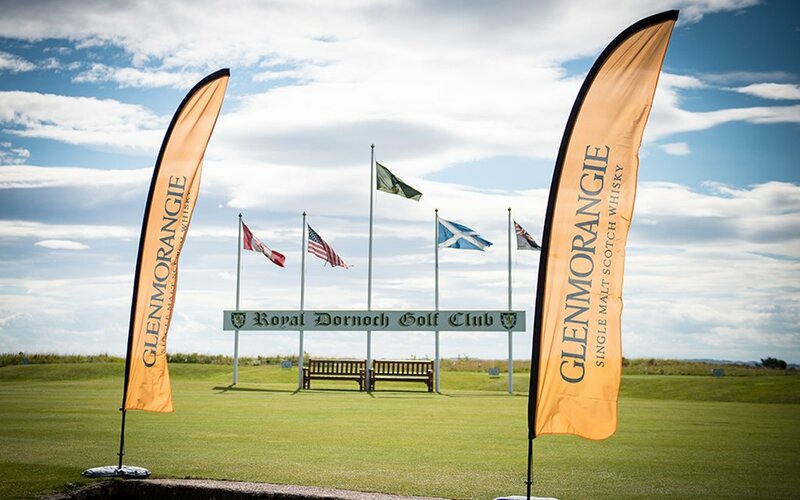 Thankfully, Glenmorangie sponsors the Open and invites me to their boxes on the 15th and 18th holes, and I have a fancy badge. Your company can too. Free booze abounds (my recommendation: the silky Grand Vintage 1990). I have a cocktail before a five-course lunch before rejoining the 99-percenters. A man can only pinky-flex for so long. A few pints among the peanut gallery at the commoners’ bar reveals two schools of thought on who should win this Open. Team Spieth wants to witness greatness in its prime. Team Kuchar wants an aging underdog to finally achieve what he’s worked toward for 17 years. I side with the latter today, and as a general sports philosophy, every day. Spieth’s 50-foot putt to eagle the 15th is his only shot I witness in person all day. It solidifies his victory. He becomes the youngest golfer since Nicklaus to win three majors before turning 24. If you need to leave your hotel by 6 AM to make a flight, don’t stay up drinking with the liquor industry’s finest salesmen until 4 AM. No alarm will save you. I wake up an hour and a half late with spit-shined crimson eyes. Get to Manchester Airport 10 minutes before my flight. Baggage empathetically slaps a “priority” sticker on me. I make it by a hair to final boarding call. My corpse flops into the seat between two strangers who silently respect my condition. I decline to take the Xanax I used to subdue myself on the flight over. My liver earned its keep, after all.